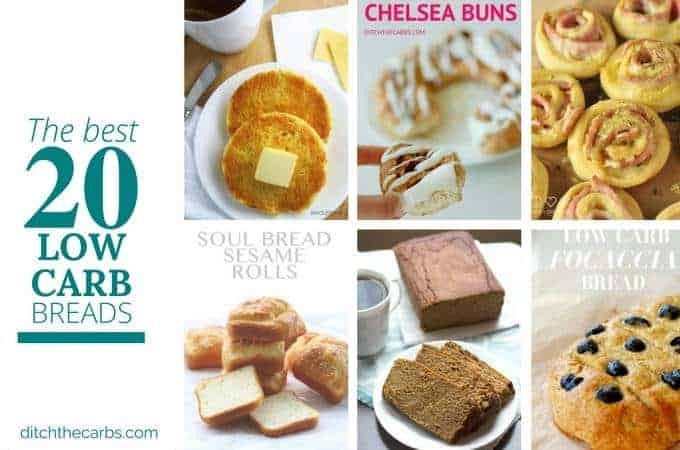 If you have been looking for the best low carb breads on the internet, your search is over. 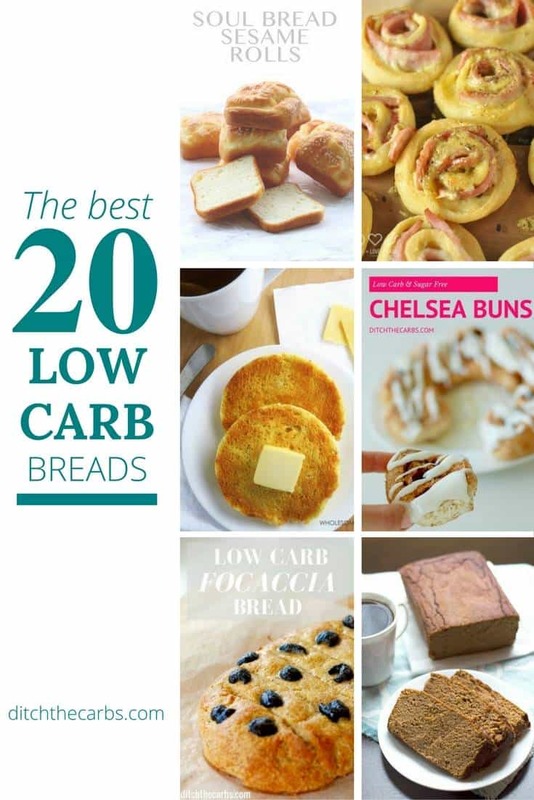 I’ve gathered a fabulous selection of the 20 best low carb breads on the internet for you. There are loaves, rolls, focaccia, tortillas, muffins and even 1 minute sweet muffins. It’s all here. 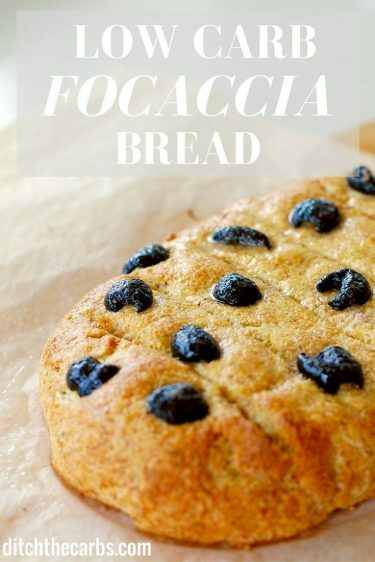 Low Carb Focaccia Bread by Ditch the Carbs – Low carb focaccia bread is incredibly versatile. 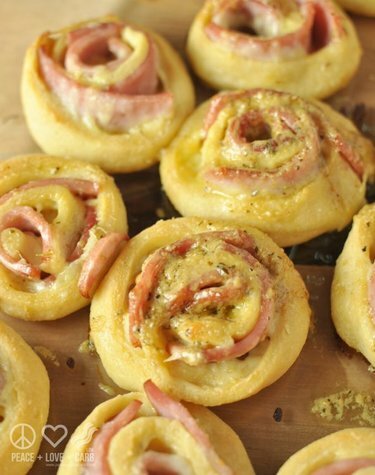 Bake it, toast it, make it into rolls, roll it thin to be a panini or even a pizza base. Hot Ham and Cheese Roll-ups with Dijon Butter Glaze by Peace, Love and Low Carb – Every time I see a hot ham and cheese roll-ups recipe or cooking video in my newsfeed, I always have to wipe the drool from my mouth. 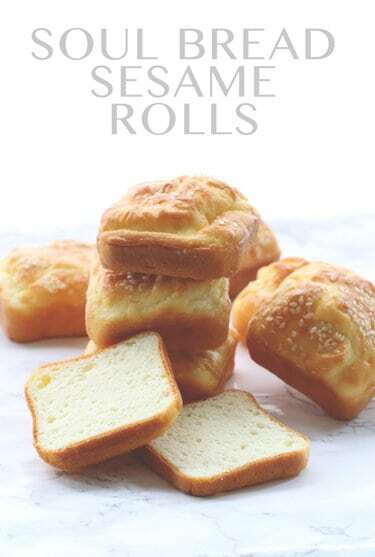 Soul Bread Sesame Rolls by All Day I Dream About Food – Soul bread is taking the low carb world by storm. Completely nut and coconut free and it tastes like real sandwich bread! 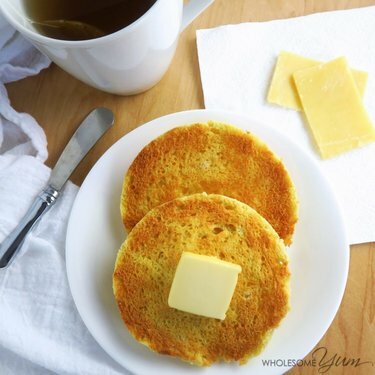 2-Minute Low Carb English Muffin by Wholesome Yum – This paleo toasted English muffin is low carb, gluten-free, and ready in just 2 minutes. 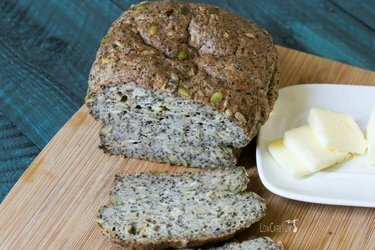 Pumpkin Sunflower Seed Psyllium Bread by Low Carb Yum – A fluffy psyllium bread with pumpkin and sunflower seeds that has a texture similar to yeast breads. 1-2-3 Bread by Low Carb, So Simple! 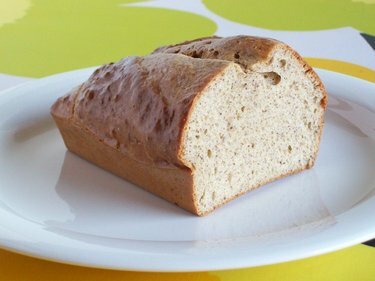 – Simple and delicious gluten-free low-carb bread with just 3 ingredients! 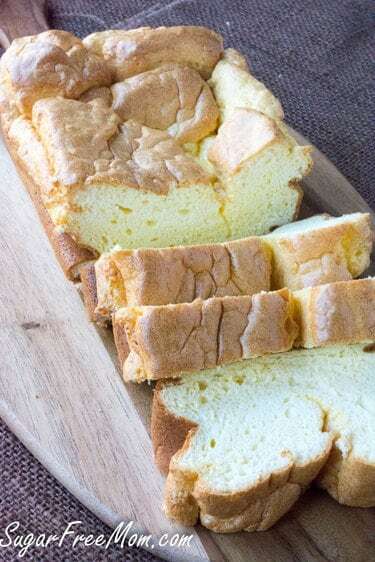 Low Carb Cloud Bread Loaf by Sugar-free Mom – With a few simple changes to the orginial this cloud bread loaf is utterly fantastic! 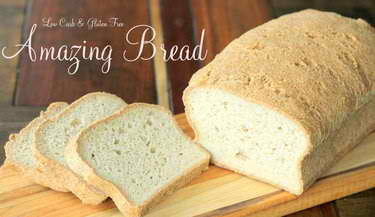 Simple and Fluffy Gluten-Free Low-Carb Bread by Low Carb, So Simple! – This easy 4-ingredient bread not only tastes great but it’s also fluffy and holds well together. 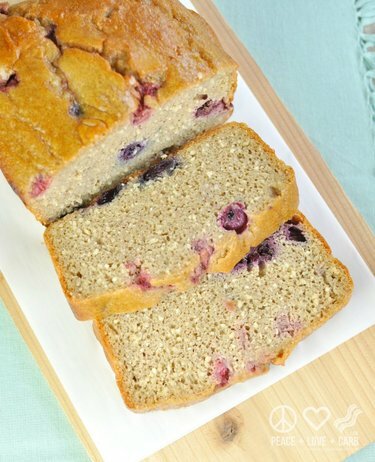 Amazing Bread by Maria Mind Body Health LLC – This bread has nothing but pure ingredients. And would you believe it’s gluten/dairy/soy/grain free bread?! Amazing indeed. 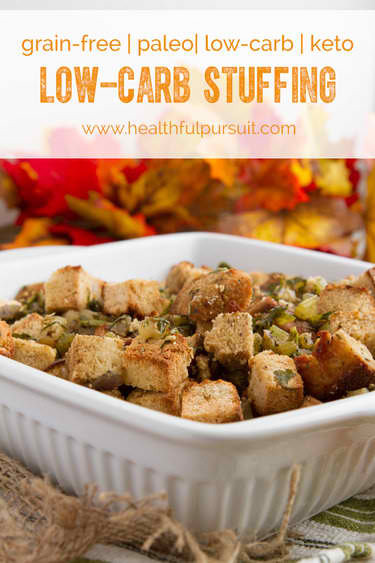 Paleo Low-Carb Keto Stuffing with Coconut Flour Bread Chunks by Healthful Pursuit – This stuffing is made entirely of coconut flour bread. 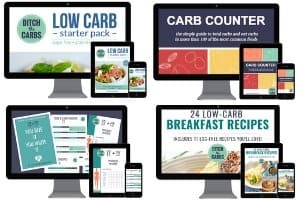 This is low carb, keto and sugar-free. 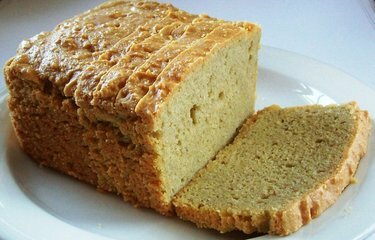 Gluten Free Coconut Flour Bread by Drop the Sugar – This coconut flour bread only has 2 net carbs per slice and can be a good replacement for white and whole wheat sandwich bread. 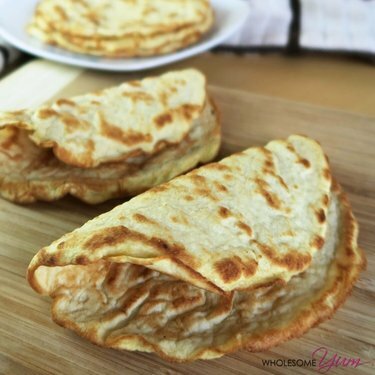 Coconut Flour Tortillas by Wholesome Yum – These coconut flour tortillas are super easy to make with just 3 ingredients. 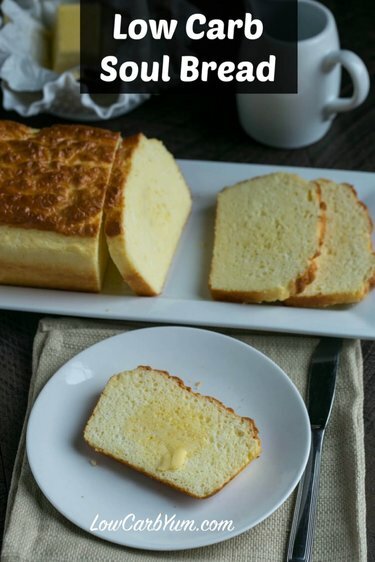 Low Carb Soul Bread by Low Carb Yum – A light and airy low carb bread with less than 2 grams total carbs per slice! 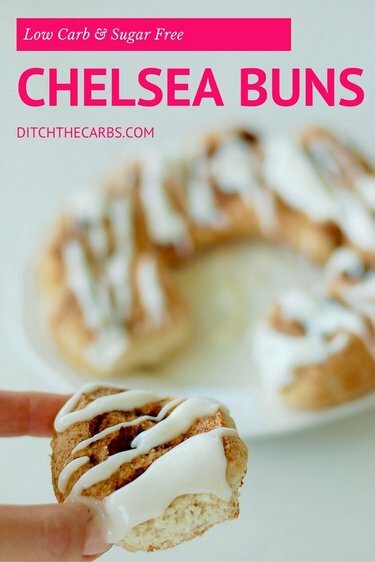 Chelsea Buns by Ditch the Carbs – At only 5.5g net carbs per serving, these low carb Chelsea buns are soon becoming a favourite in our house. 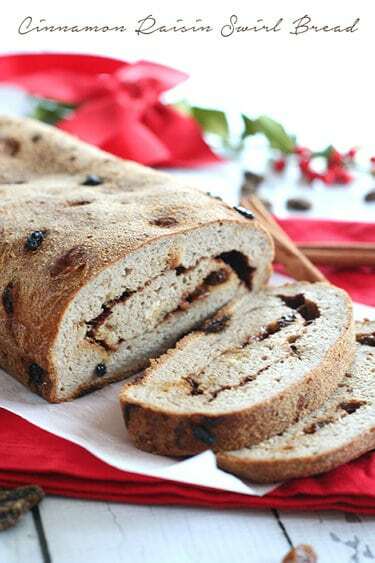 Cinnamon Raisin Swirl Bread by All Day I Dream About Food – Just a tiny bit of raisins gives this Cinnamon Raisin Swirl Bread an authentic flavour. 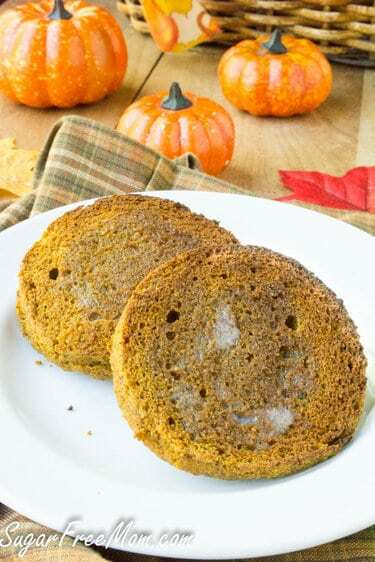 1-Minute Low Carb Pumpkin Spice English Muffin by Sugar-Free Mom – Made in 1 Minutes and perfect for a cold morning! 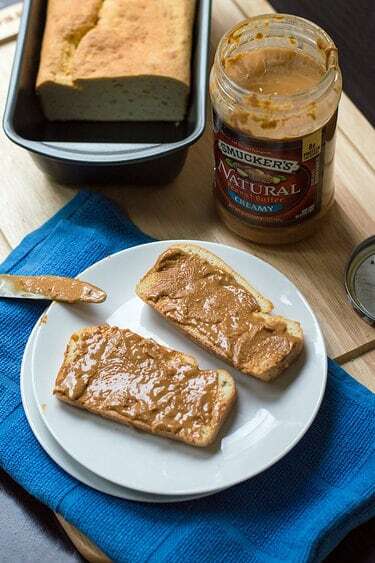 Peanut Butter Berry Breakfast Loaf by Peace, Love and Low Carb – It’s like having a peanut butter and jelly sandwich for breakfast! 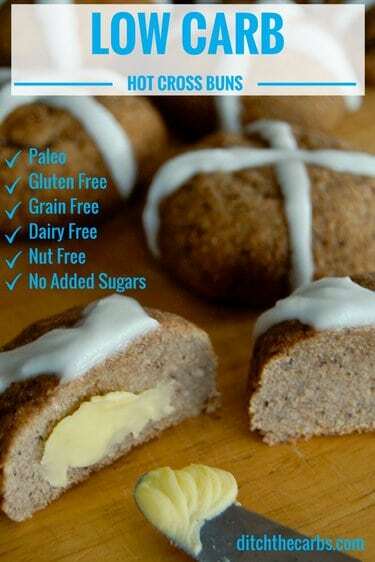 Low Carb Hot Cross Buns by Ditch the Carbs – Hot cross buns are actually yummy all year round. Toast them and add lashings of butter. 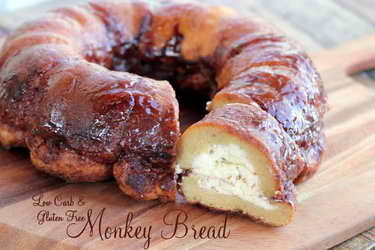 Monkey Bread by Maria Mind Body Health LLC – Low carb and gluten-free, this Monkey Bread is both healthy and delicious. 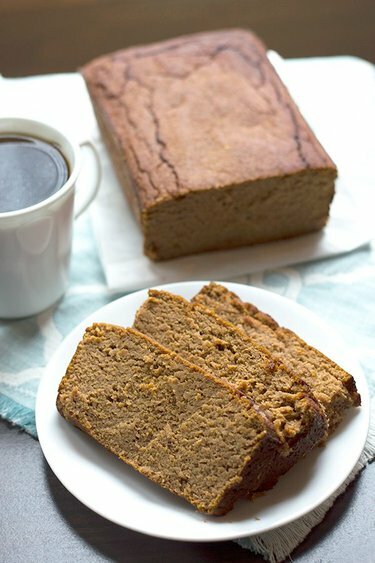 Low Sugar Gluten Free Pumpkin Bread by Drop the Sugar – Moist and lightly sweetened, this Pumpkin Bread is great for breakfast, snack, or a sweet treat during the holidays.